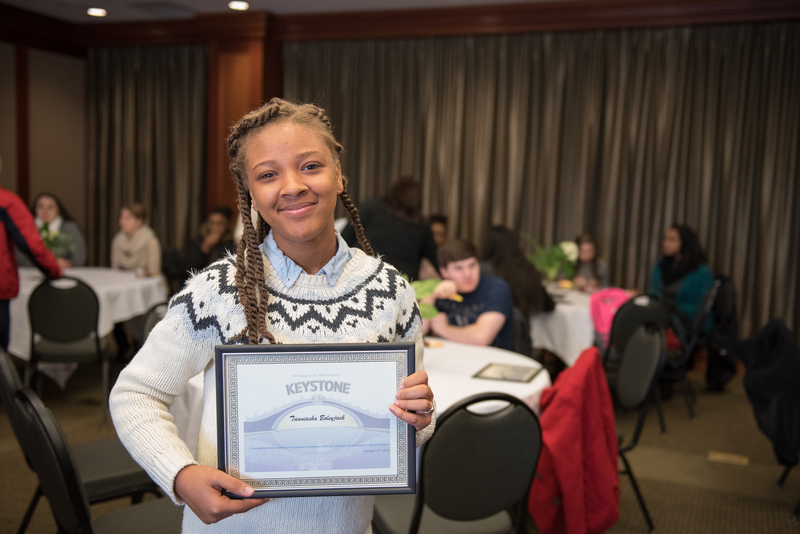 The Bridges to Belmont program recently celebrated the success of its sophomore scholars in the program’s second cohort with a Keystone Achievement Ceremony. A keystone is the wedge-shaped stone at the apex of a bridge that locks all the stones into position, allowing the bridge to bear weight. The sophomore scholars in the program’s second cohort have embarked on the mid-point of their academic careers and the ceremony served as a celebration for their success thus far, as well as a way to look toward the future. Junior scholars that have exhibited significant scholastic excellence were also celebrated.